No doubt you're familiar with Where's Waldo? a series of books in which the objective is always the same: in a succession of double-page illustrations, your job is to find Waldo, a character instantly recognizable by his red-and-white shirt, knit hat, and glasses. The books have been incredibly popular, selling millions of copies, and inspiring a TV show, a comic strip, and a series of video games. 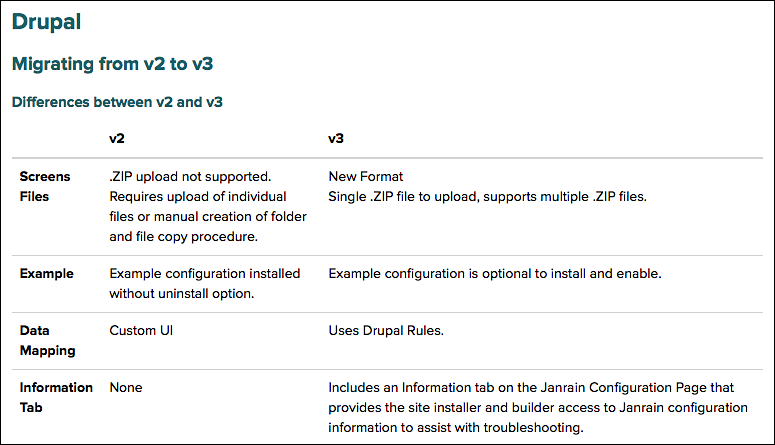 Oh, by the way: we can now do cool things like add a Before and After slider to the Education Center? We probably should point that out. We suppose that's better than nothing, but "better than nothing" isn't really something you want to put on your resume. Yep, looks like we do. That was something you simply couldn’t do in the old site. 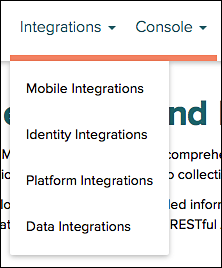 If that seems more like the start of a specific article than it does an introduction to platform integrations, well, there's a good reason for that: that's what it is. Is this the most important innovation in the history of the world? No. But it's probably in the top 10. 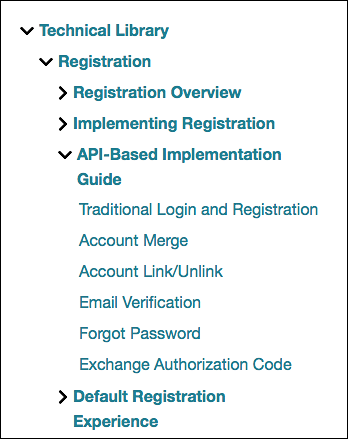 Notice the field labeled Filter the Registration resources? Type token into that field, and watch what happens. That's what we said, too: cool. 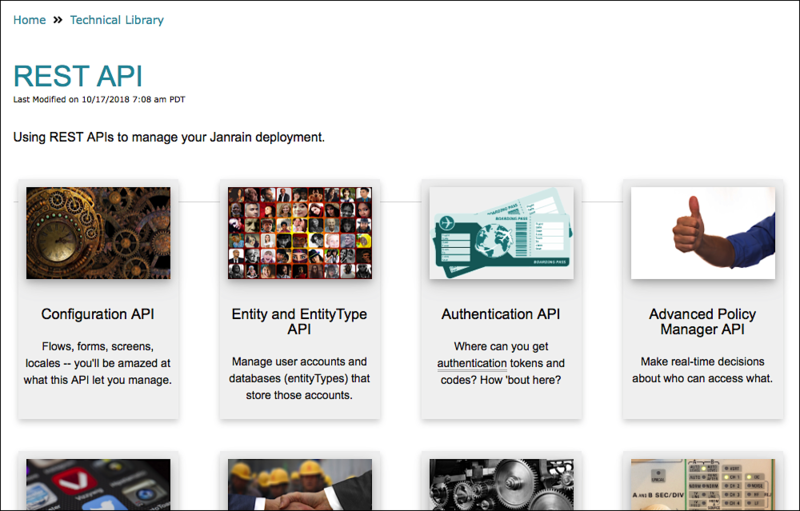 The Janrain docs site was well-known for its long (very long) web pages. How long is long? Well, if you copied our "page" on identity providers (IDPs) and pasted it into Microsoft Word, you'd end up with a 286-page Word document. Or at least we did. But hey, we had to try it, right? Note. However, we should note that there is no truth to the rumor than two Estonian adventurers died while trying to scroll from the top of that 286-page web page all the way to the bottom. Well, OK, not a lotof truth to that rumor …. At any rate, huge web pages that cover multiple topics (among other things, the aforementioned 286-page monster included complete configuration guides for 35 different IDPs) make it all-but impossible to find what you're looking for. Fortunately, however, those kind of pages should now a thing of the past. In the Education Center, pages are shorter (much shorter) and better-targeted. Want to use Console to delete a user profile? No problem: we have a page (one page) that tells you how to do that. And that's all you'll find on that page. Creating user profiles, modifying use profiles, exporting user profiles, searching for user profiles – those tasks all have their own pages. It just seemed to make more sense that way. Need to know where you are, or need a quick backtrack through the site? 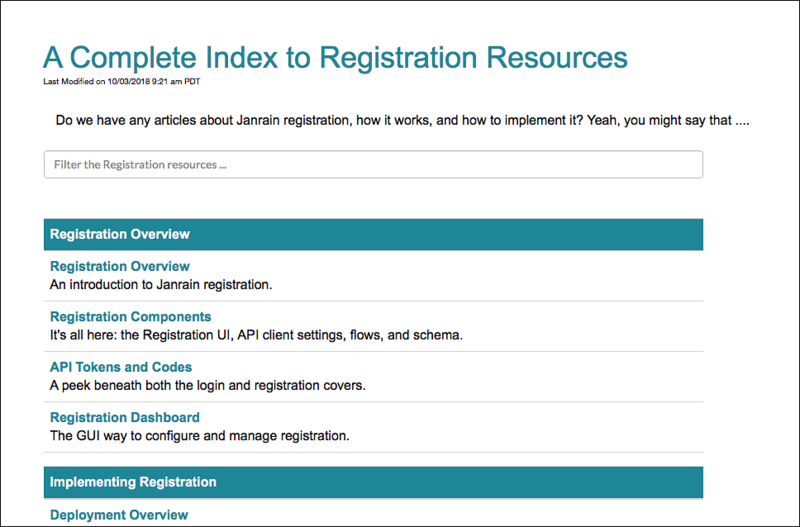 Well, now you have one: this page is found in the Customizing Registration section, which is found in the Registration category, which is found in the Technical Library (and which lives in the house that Jack Built). With any luck, we now have more and better options for finding – and keeping – your bearings, even though we also have way, way more pages than we used to..